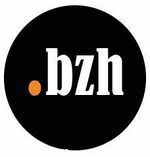 .bzh is a TLD for the Breton cultural and linguistic community. The initiative is being made by PointBZH. Membership of the community will be judged by: Residence or Headquarters in Brittany; a significant amount of the content dedicated to Brittany or Breton culture; A significant portion of the website in Breton or Gallo; Membership in the association BZH. The application succeeded and was delegated to the Root Zone on 17 June 2014. The target of the .bzh community app is the Breton people, aiming to "to represent, characterize and display all of its cultural, economic and social productions on the internet." The abbreviation BZH is also a marker of a cultural and linguistic identity." On 27 February 2014 PointBZH received a Registry Agreement signed by ICANN for .bzh after passing all the required processes needed to become a Registry Operator for the string. .bzh was delegated to the Root Zone of the DNS on 17 June 2014, completing the successful application for the string. This page was last edited on 10 August 2016, at 18:43.